Have any old cd or dvd’s lying around that you can’t use anymore? 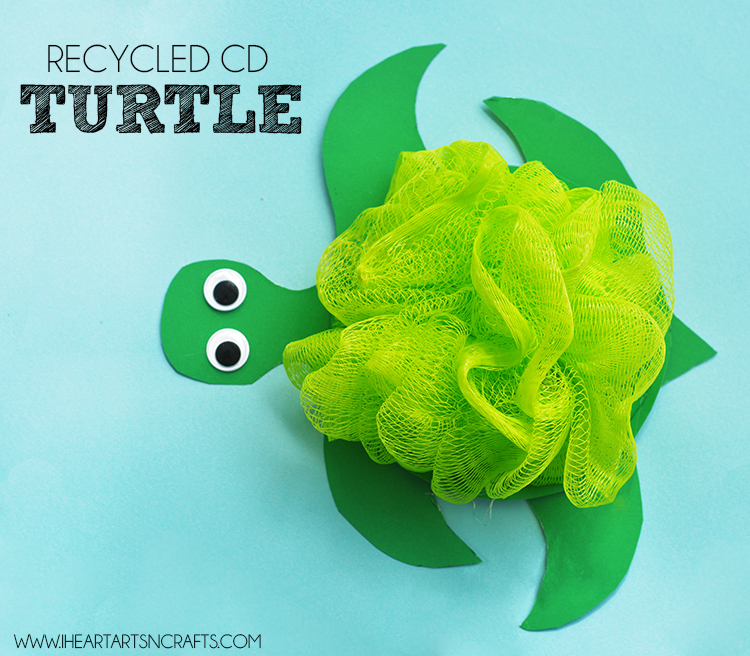 Here’s a cute craft using recycled CD’s to make a turtle! All you need are a few materials to make this. 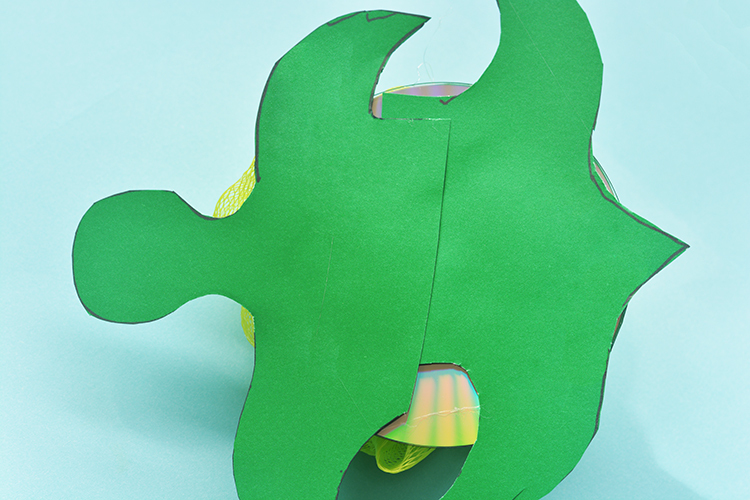 Start by cutting out the shape of the turtles body on the green cardstock, drawing the head, legs, arms, and a short tail. As you can see in the picture below you’ll be gluing this under your CD. After you cut that out and glue it, trace your CD on the green paper and cut out the circle. Glue the circle on top of the CD. Next you can glue some googly eyes to the turtles face. 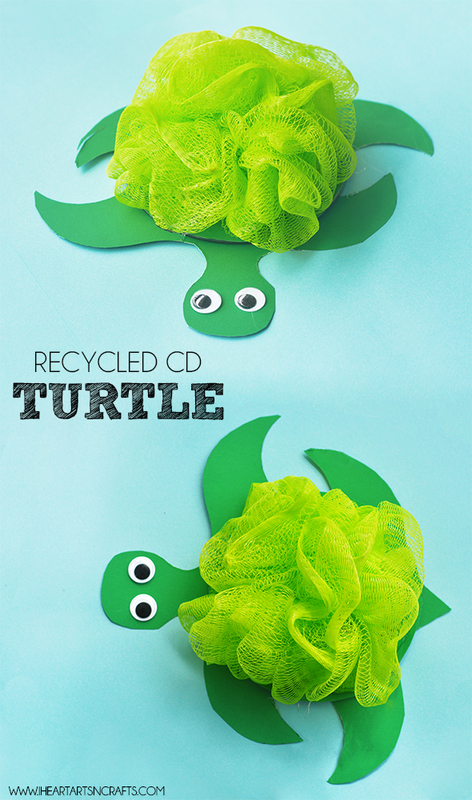 And finally you’ll want to add the bath pouf on top of the turtle for the shell. We cut the string of the bath pouf off so it was easier to glue and separated it a little bit to make it cover the whole cd.